Dinosaur Comics - January 12th, 2018 - awesome fun times! –Even though they don't like you because of who you personally are! One year ago today: it's here! 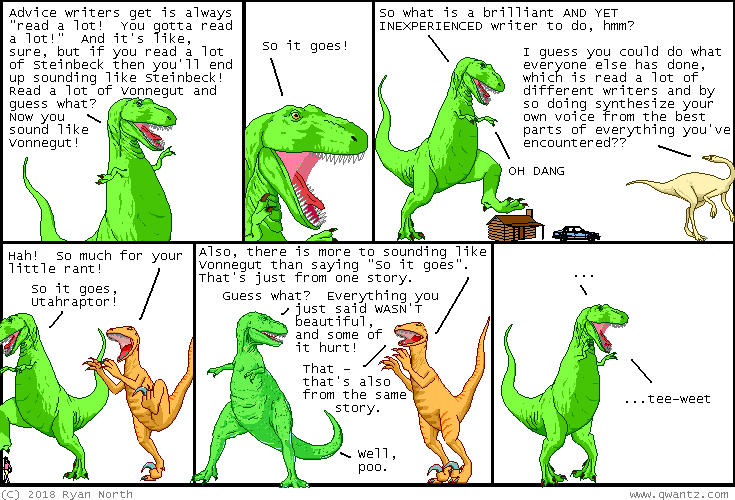 another intelligent and education installment of dinosaur comics, ready for you to share on social media so your friends know you're intelligent and educational too! !